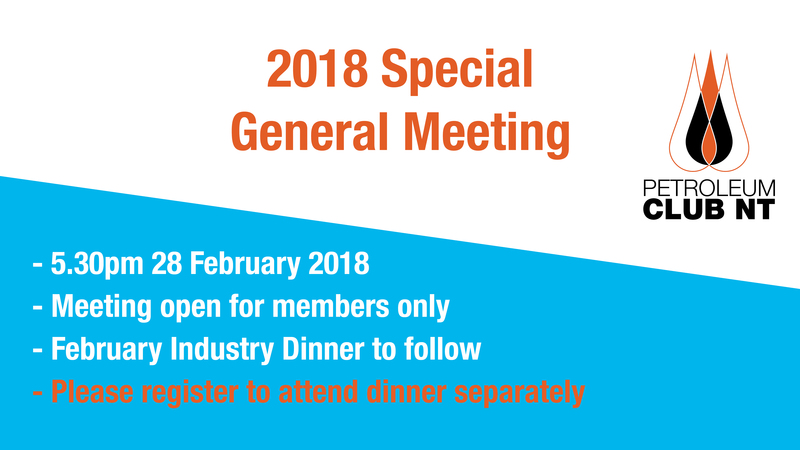 On behalf on the Petroleum Club NT Board of Directors, I would like to invite members to attend a special general meeting called for Wednesday 28 February 2018. The business to be transacted at the meeting will be confirmed in a detailed agenda to be made available to our members. The intention of the meeting will be to propose a special resolution of members in regards to an organisation name change and some further changes to the Constitution in reflection of this name change. An agenda will be made available for PCNT members to download on the online members vault. For further event information please contact the office.